Not to be confused with successor (Melrose Road) bridge (situated downstream, to the E), for which see NT53NE 51. 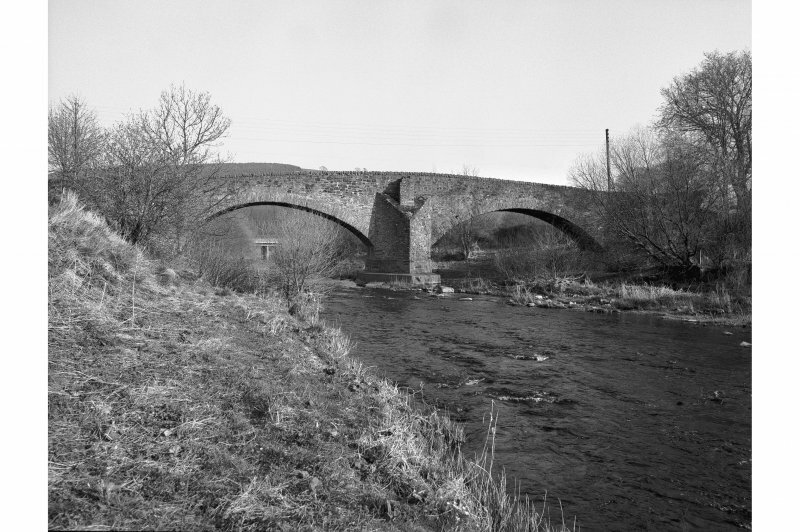 The Old Bridge spans both Earlston and Melrose parishes. Due to this it has been listed twice by Historic Scotland. 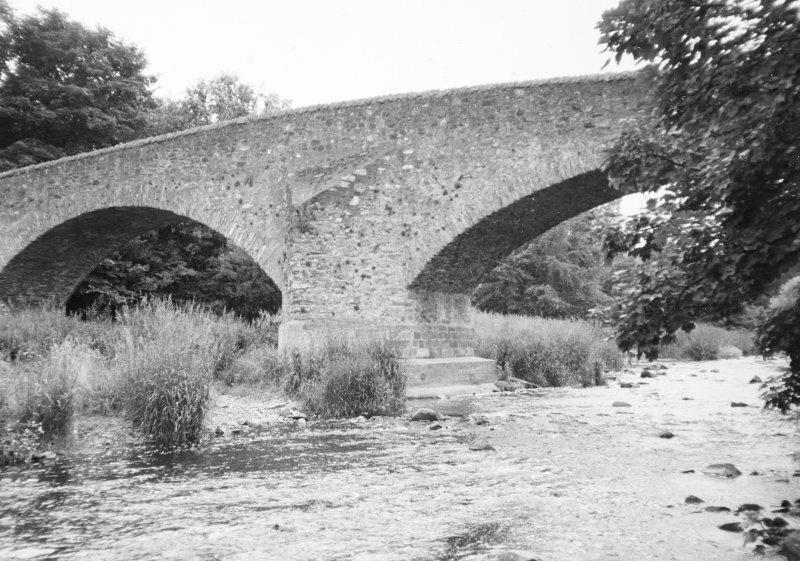 (NT 5705 3823) Old Bridge, Earlston: probably 18th century. A two-span bridge with dressed-stone arch rings and rubble spandrels. There are tall triangular cut-waters. This bridge carries Mill Road (an unclassified public road) across the Leader Water to the SW of Earlston (NT53NE 47). The river here forms the boundary between the parishes of Earlston (to the NE) and Melrose (to the SW). The location assigned to this record defines the centre of the structure. The available map evidence suggests that it extends from NT c. 57052 38220 to NT c. 57068 38249.